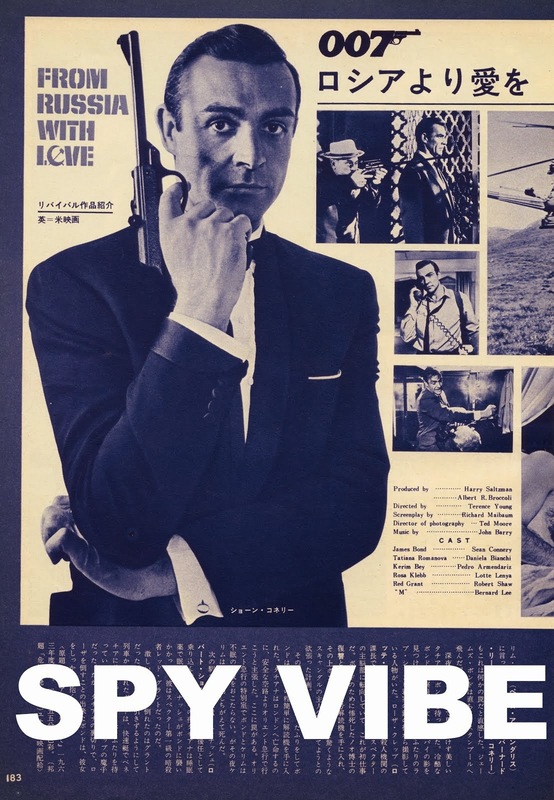 The Batman theme by Neil Hefti quickly settled into the pop consciousness in the 1960s, spawning what would become decades of cover versions, references, and parodies. 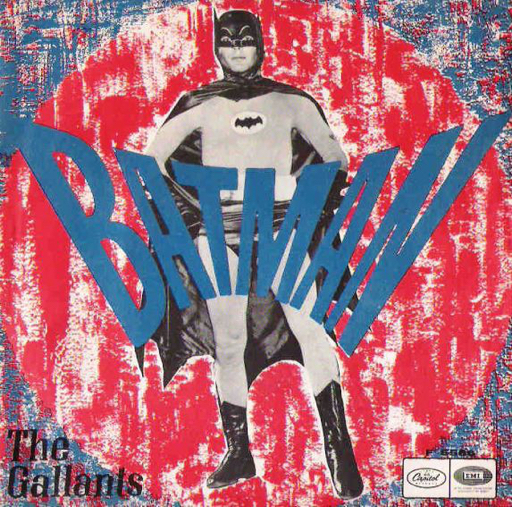 One gem from from the show's debut year 1966 was this tribute by The Gallants. The European sleeve design was pure Pop Art and really captured the show's sensibilities, as well as the current work by Andy Warhol and other artists. Released on Capital as a 7" 45 single, the singer cried out, "Oh Batman. We need you now!" In light of the recent news of Adam West's passing, it sounds more poignant than ever. My tribute to Adam West here. 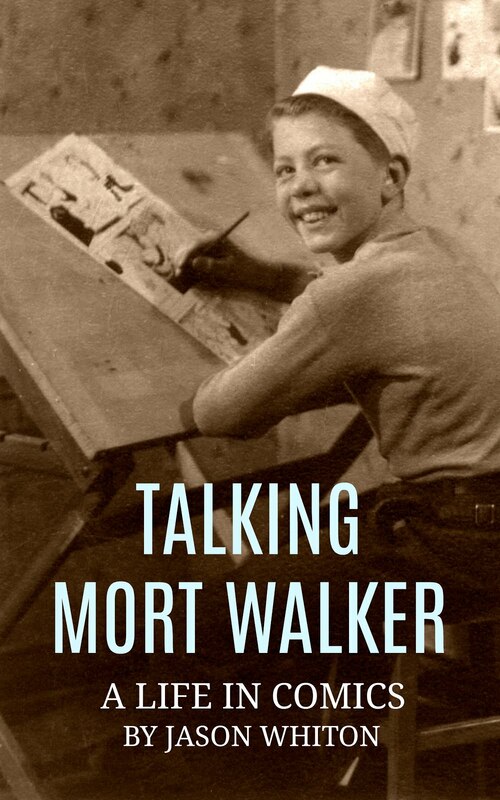 Related posts: Interview: Batman Celebration Book, Batman Anniversary, Interview: Batman Animated designer Shane Glines Interview, Interview: Ralph Garman and Ty Templeton, Interview: Ryan Heshka, Batman TV and Manga releases, Batman 66: The TV Stories Book, Batman in Swinging London, Julie Newmar, Batman 66 posters, Adam West Sings!, Adam West spy ad, Spy Vibe visits the Batcave, James Bond & Batman Robots, Andy Warhol Batman, Man From UNCLE & Batman Manga. 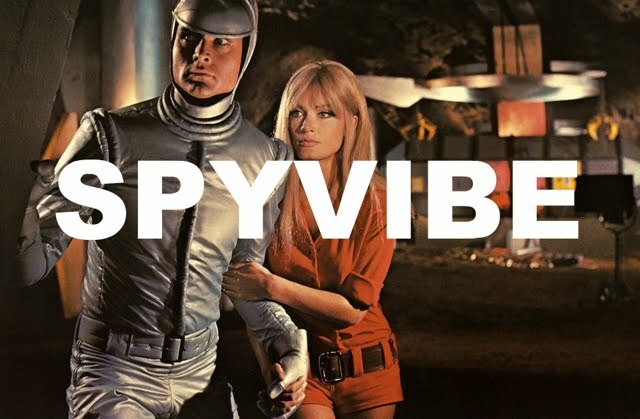 Selected Spy Vibe Posts: Adam West R.I.P., Village Triangle, Roger Moore R.I.P., Spy Vibe Radio 3, Sgt Pepper 50th, Satanik Kriminal OST, 60s Overdrive, Make Love in London, Spy Vibe Radio 2, Spy Vibe Radio 1, James Bond Strips, Propaganda Mabuse, Fahrenheit 451 50th, Interview: Police Surgeon, XTC Avengers, 1966 Pep Spies, Batman Book Interview, Exclusive Fleming Interview, Avengers Comic Strips, Robert Vaughn RIP, UNCLE Fashions, Thunderbirds Are Pop!, Interview:Spy Film Guide, Lost Avengers Found, The Callan File, Mission Impossible 50th, Green Hornet 50th, Star Trek 50th, Portmeirion Photography 1, Filming the Prisoner, Gaiman McGinnins Project, Ian Fleming Grave, Revolver at 50, Karen Romanko Interview, Mod Tales 2, Umbrella Man: Patrick Macnee, New Beatles Film, The Curious Camera, Esterel Fashion 1966, Exclusive Ian Ogilvy Interview, 007 Tribute Covers, The Phantom Avon novels return, Ian Fleming Festival, Argoman Design, Sylvia Anderson R.I.P., Ken Adam R.I.P., George Martin R.I.P., The New Avengers Comics, Trina Robbins Interview, The Phantom at 80, 007 Manga, Avengerworld Book, Diana Rigg Auto Show, The Prisoner Audio Drama Review, David McCallum novel, Andre Courreges R.I.P., Who's Talking on Spy Vibe, UFO Blu-ray, Avengers Pop Art.